We make great fifth wheel hitches! From automatic sliders to single point attachment hitches, we meet all your fifth wheel towing needs! Our innovative product lines give you many choices, weight classes and plenty of accessories to make your towing experience easy and give you peace of mind that comes from great innovation! If you already know the hitch and mounting system you want, search our products below to learn more. 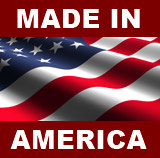 We have a lot to say about these great products! Not sure which hitch goes with what mounting system? Do you already have a truck, are in the market for an upgrade, or don't have a truck yet, see our PullRite Hitch Mounting Options page. SuperGlide is the best solution for short bed trucks. With SuperGlide's patented cam-action, fully automatic turning capability, it quickly moves your trailer rearward away from your truck so your truck can turn 90º to your trailer without contacting your cab! The best part, you don't have to get out of your truck to do it, just get in and drive! 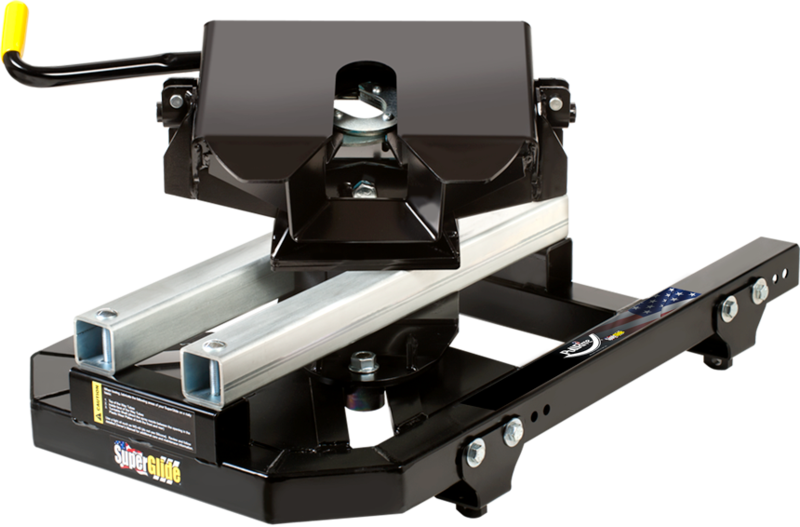 Check out our full line of SuperGlide fifth wheel hitches, including the #3100 SuperGlide specifically designed for super short truck beds (5-1/2'). 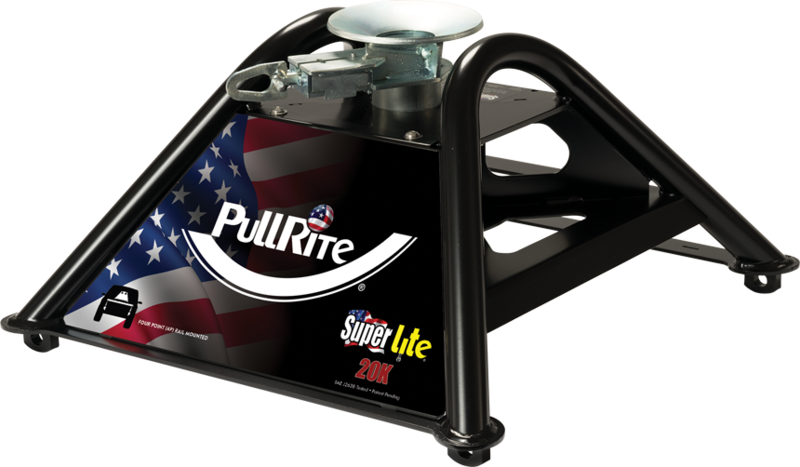 SuperLite hitches are designed for long bed trucks, are lightweight and easy to hookup. Whether you're a seasoned RV'er or just starting out, SuperLite's inverted ball and funnel design makes it the easiest fifth wheel hitch to hook up! Our adapter turns your trailer's king pin into a gooseneck ball, and with SuperLite's funnel design, you simply "drop" the ball into the shute! Best of all, it's totally visible from the cab and there's no more guessing whether you're lined up properly or not. Available in two mounting systems, 4P (four point rail mounted) that works with industry standard type rails, or 1P (single point attachment) that mounts to your trucks OE (original equipment) or any aftermarket underbed gooseneck towing system with a 2-5/16" ball. Lightweight, but built strong with American steel, unlike other weaker aluminum hitches on the market today, SuperLite is your best choice! Super 5th hitches are not just your standard fifth wheel hitch. 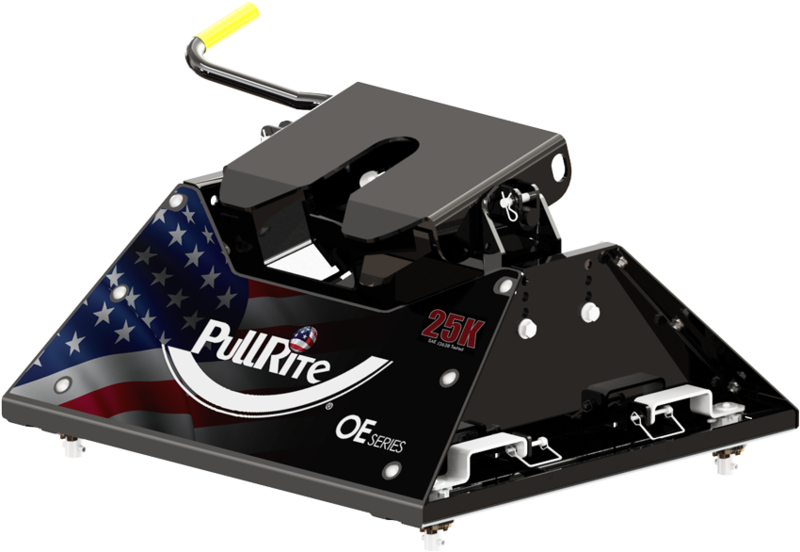 PullRite prides itself on innovation that exceeds the norm, and Super 5th was one of the forerunners of standard fifth wheel hitch design. Made from high quality, American steel, unlike most all other imports on the market today, Super 5th's are built tough and reliable. With the dual-articulating hitch action of the plate and rocker arm, we greatly reduce the amount of "bump and chuck" that any RV'er experiences while towing. And now with all our Super 5th's redesigned to fit any industry standard type rails (or our "better than theirs" ISR Rails), you have more options to upgrade your existing towing system to one that has raised the standard of towing! OE Series hitches are made specifically for your trucks OE (original equipment) tow prep package. Custom designed for underbed puck mounting systems, installation and removal is quick and easy in just 4 steps! 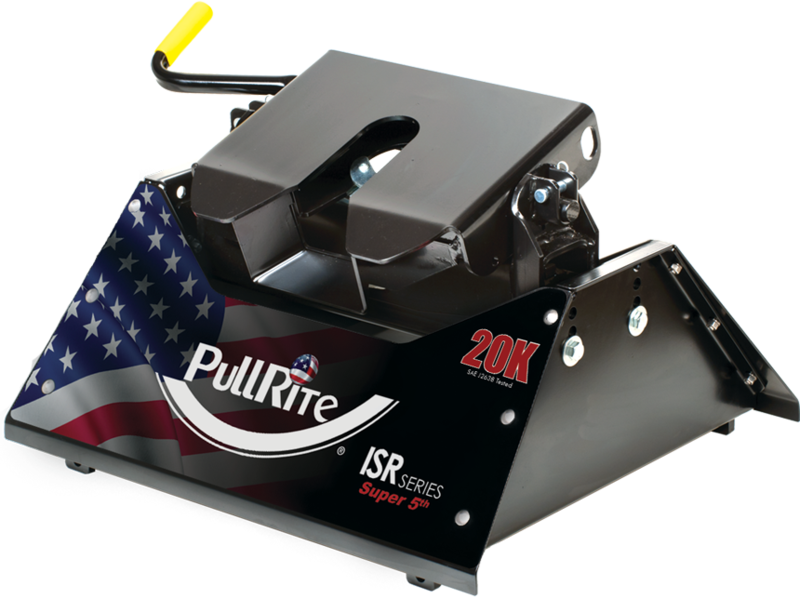 Maybe you're wanting to buy or own a truck with this type of mounting system, but already own or want to upgrade to a PullRite ISR Series hitch. No problem! Our new OE Rail Adapters allow you to use your existing industry standard rail hitch, or better yet, upgrade to any of PullRite's ISR Series hitch!